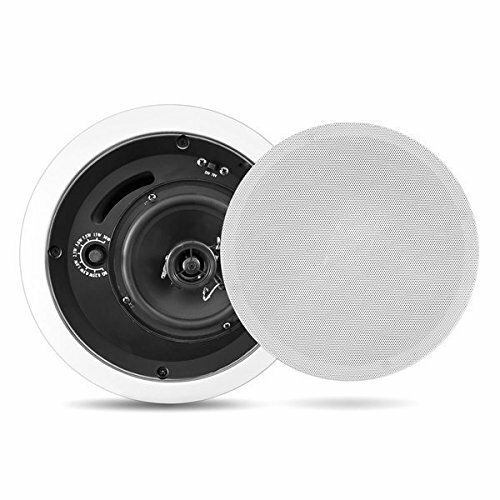 Able to handle background music and home entertainment tasks, the Pyle Home PDPC6T mounts in your ceiling, creating a clutter-free listening experience. It features a vented design for high power and deep bass response. Inside the enclosure are a 6.5-inch long-throw woofer and a 1-inch Mylar dome tweeter and a 70-volt transformer.